If you’ve read last week’s blog post, you might understand why this week I didn’t had any time / drive to make art or try out any new techniques. I did have time though to pick up some books I ordered recently! 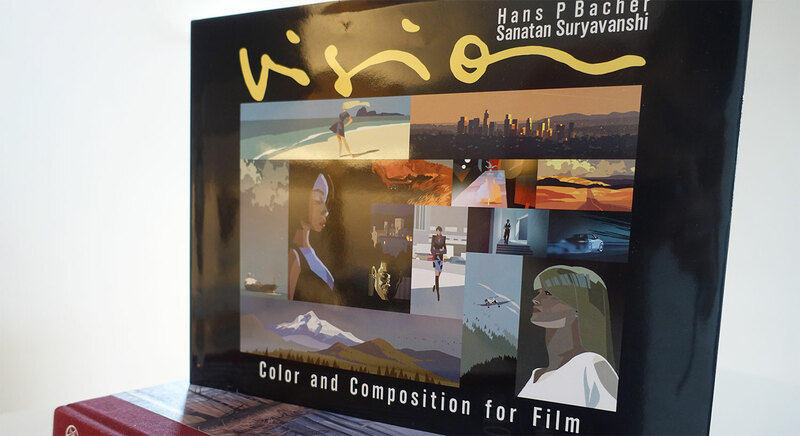 One of them being VISION: Colour and Composition for film by Hans P Bacher who currently works as a production designer in the animation film industry. He worked on animation films such as Beauty and Beast, Aladdin, The Lion King, Mulan and several others. The book is all about the psychology of images and understanding the emotional response of viewers. It will instruct you how to control that emotional response to evoke the right mood and memories. Before showing you how you can control the viewer in its emotional responses, it explains why it works like that using fundamental principles like line, shapes, values, color, light and composition. All of them factors that will influence how a viewer perceives your artwork. The 240-page hardcover book is nicely designed and illustrated, packed with clear and understandable examples and explanations. Don’t expect huge blocks of text for you to filter information from. The pages are clear and structured in such a way that they can be photocopied and hanged at your workspace to reference from. As an example of such a page, ‘the anatomy of an image’, explains the principles like Subject, Format, Depth, Framing, etc. Another thing I like about educational art books is having the feeling every page is packed with information so it will take a while to grasp everything fully. That way, I pick the book up again after a while, I still learn new things. You can progress the book chapter by chapter or just jump around to an order that suits you the most. In short, this book is not another ‘how to render or speed-paint’ type of book. Instead it will teach you more fundamental skills. Skills that will help you to see and think as a visual storyteller. Personally, I consider it a great book that I can add to my collection of must have fundamental books. I’ve listed other, must read fundamental books, on my Resource page. You can buy the book here from Amazon.co.uk if interested. Picked up interesting books yourself lately? Please let me know and share it in the comments below!